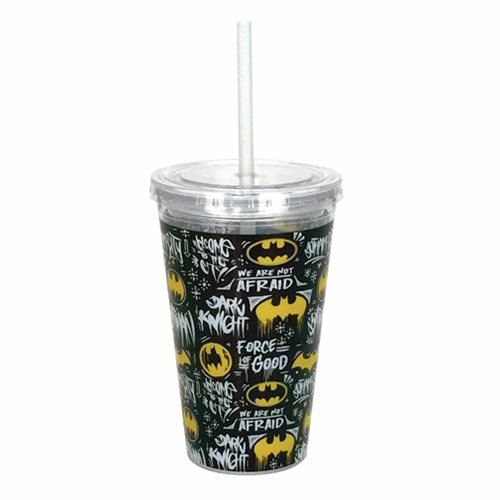 Drink your favorite beverage with the Dark Knight! The Batman Logo 16 oz. Travel Cup with Straw looks amazing! Hand wash only. Not dishwasher safe. Do not microwave. Ages 13 and up.